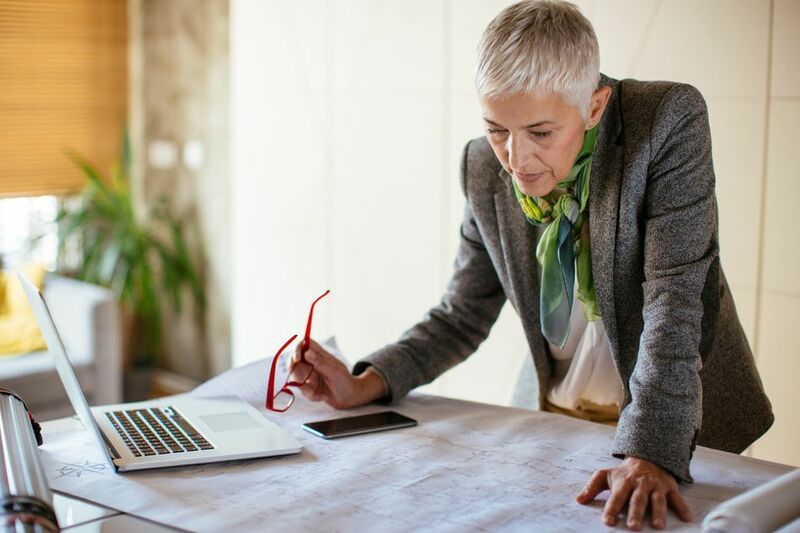 One of the easiest ways to keep working after retirement is to keep your old job or another job with the company on a part-time or contract basis. If you’re interested in staying on, check with your boss about what options are available. Review these good jobs for retirees to find an option that works for you. Working for yourself is a great way to earn extra money on your schedule. There are jobs available for doing just about anything on a freelance basis, so check out a variety of options that are a fit for your skills and experience. Freelancing gives you a way to do what you want, as well as to boost your earnings. Do you like to drive? Do you know your way around town? There are many different types of driver jobs, and most have a flexible schedule. You could work for yourself for companies like Uber, Lyft, or Amazon, or get on the payroll and drive limos, school buses, transport vans, or other modes of transportation that require a trained driver. A delivery driver is one of the best paid hourly jobs. When you’re a fan of music, theater, and the arts, you can get paid to help out at events at performing arts centers, concert venues, and theaters. You’ll be able to watch the show while you work, and you’ll get perks like free or discounted tickets to other events. Depending on your location, you may be able to get hired to work at conferences, professional association meetings, seminars, and other business events. When you live in a town or city you know well, consider a concierge job at a hotel. The hours are flexible though you may need to work weekends. You’ll be helping guests choose restaurants, tours, events, and activities. If you know all the best things to do and places to go, consider a second career as a concierge. Caretaking and house sitting are great ways to travel without all the expenses. If you’re part of a couple, you may both be able to get hired. Many caretaker jobs offer positions for both. You can find short term or long term options, and, if you’re very flexible, you could use work as a house sitter as a way to see the world. Search Google using terms like “house sitter” or “caretaker” to find sources of job openings. If you’re an animal lover, pet sitting is something you can do in a variety of different ways. Family, friends, and neighbors may need someone to help out when they are at work or away on vacation or business. You could start your own pet sitting business, or you could work for a company that provides animal care. You can sign up to be a dog walker or pet sitter on Rover or Wag. If you have extra time, consider volunteering for your local animal shelter. Even though you won’t get paid, it’s a great way to help out, and shelters do occasionally hire paid employees. Retail is always hiring, especially around the holidays. If you’re not looking to commit to a long-term position, consider a holiday season retail job. You may be able to schedule your hours based on your availability, and many retailers offer discounts and other perks to employees. For holiday season work, also consider package delivery services. For example, UPS and FedEx hire thousands of holiday helpers. When you’re interested in working with children and want to work on your schedule, consider a job as a substitute teacher or aide. At many school districts, you don’t need a degree in education to get hired. Once you’re hired, you’ll be able to choose to accept an assignment based on your availability. In addition to teacher positions, there are many other school job options which include food service and cafeteria positions, bus drivers and monitors, and administrative jobs. You don’t need to be an accountant to prepare taxes. A tax preparer is another good short-term job you could do on an annual basis. H&R Block, for example, hires for seasonal tax and administrative positions at more than 12,000 offices in the US. The company also offers a tax preparation course (for a fee) you can take to get the skills you need to get hired. Other tax preparation companies have similar programs and job opportunities. Resorts are wonderful places for retirees who want to get away from the 9 – 5 office routine. If you’re near the beach or the mountains, consider a resort job. Many ski and beach resorts are open year-round, so you’re not limited to just seasonal work. There are part-time and full-time positions available. You’ll be able to use the skills you acquired during your career or do something completely different. If you’ve got the flexibility, a resort job offers a lot of great benefits and perks. Once you’ve decided what you want to do there are a variety of ways to find a job. You can search job sites, like Indeed.com and Monster.com, to find jobs to apply for. Use keywords that match the type of job you’re looking for and add the location where you are interested in working to get the best results. Use CoolWorks.com to look for seasonal and resort jobs. You’ll find a lot of listings at resorts around the country. You can search all jobs, or browse jobs listed by season, state, category, and national park. Craigslist is an option for freelance part-time, flexible and short-term jobs. Visit the site for your location and check the “Gigs” and “Part-Time” sections as well as the jobs section. Word of mouth works, too. Tell everyone you know that you’re interested in going back to work, even if it’s on a limited part-time basis. You may be able to get some good leads that pan out into a job.